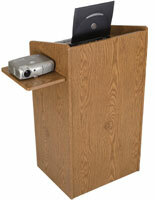 This Podium Has 4 Casters for Easy Mobility! 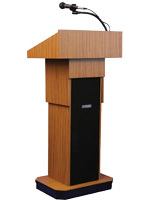 A Hostest Stand is 1 of 100's of Lectern's Offered on Podiums2go.com! 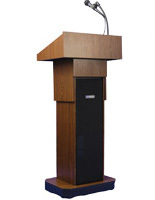 This podium, such as hostess stand, or public speaker lectern establishes elegance upon entering classroom or restaurant. 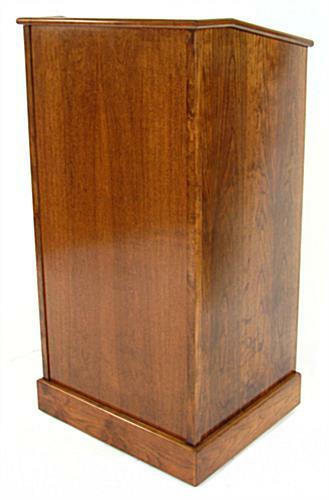 This solid wood lectern, a beautiful podium is constructed of hard cherry wood & veneer. 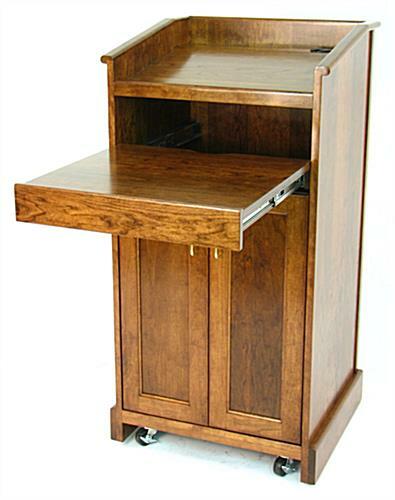 This furniture piece, such as a lectern has 4 casters so that the unit can be easily pushed from one location to another. 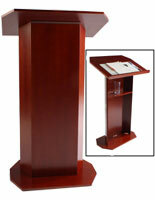 As a hostess stand, this public speaker podium can accommodate many items within the cabinet. 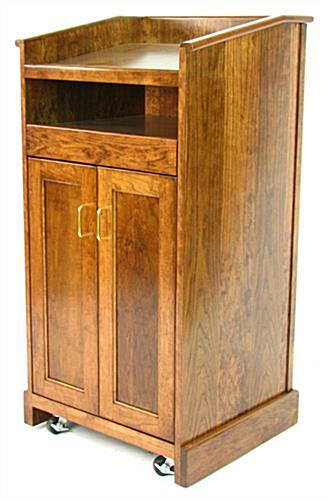 The podium, such as a lectern, or hostess stand has an adjustable shelf within the cabinet so that you can alter the shelf height to meet your needs. 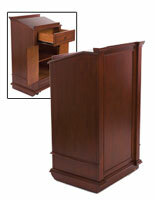 The wood hostess stand, podium is stunning in appearance yet remains very functional. 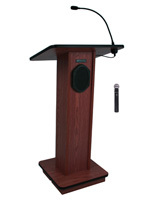 This podium, such as a public speaker lectern, hostess stand, or church furniture has a pull-out shelf for easy access to an amplifier or a reservation list. 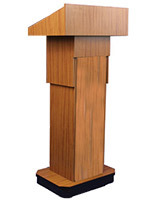 This podium ships fully assembled except for the handles which easily screw on. 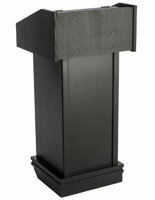 23.3" x 42.3" x 20.3"
19.5" x 27.3" x 17.3"
Please add 30 business day(s) when determining the lead time.